Santa, the elves, and the reindeer have all completed sensitivity training. 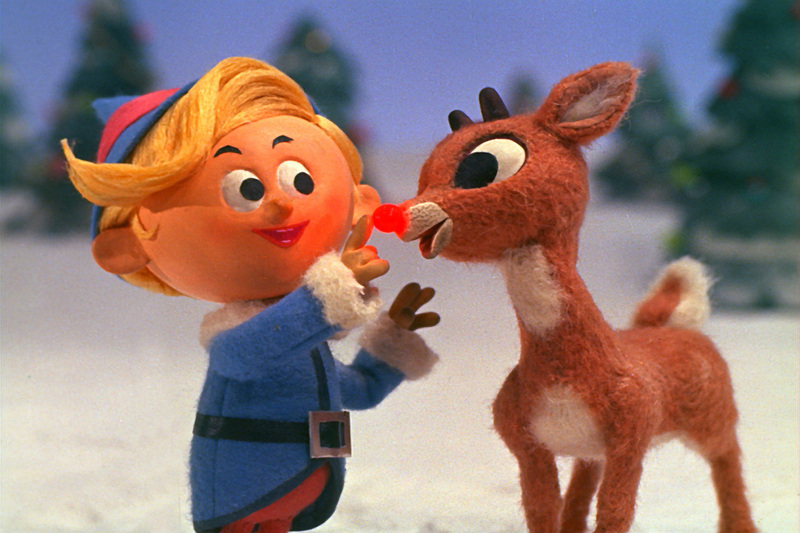 So when Rudolph is born with a red nose, everyone affirms his difference. Comet, the flying coach, now emphasizes inclusion, so he welcomes female reindeer into the games. In fact, the reindeer have set aside gender binaries so that the reindeer can perform gender any way they like. Santa is an equal opportunity employer, and the reindeer and the elves receive competitive pay, overtime compensation, and appropriate health care benefits (including dental). Hermey is elected by shareholders as director of the North Pole HMO. 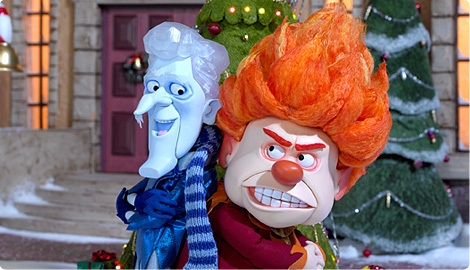 When Mrs. Claus attempts to get Snow Miser and Heat Miser to compromise and make it snow in Southtown so that the Mayor will release Vixen, etc., the two Miser Brothers inform her that it’s far too late. Exponentially increasing carbon emissions have destroyed their ability to compromise for at least the next millennium. Everyone from Southtown to the North Pole will simply have to learn to adapt to erratic and dangerous weather patterns. In response, Santa retires from gift-giving and studies climate science on the internet. In the final scene, Santa is writing a dystopian novel titled Naughty or Nice: An Eon Without Santa Claus, Plus Many Extinctions. Ralphie is an ordinary, middle-class African-American boy who really really wants a BB gun for Christmas. His mother, a wise though sad woman, sits him down for “the talk” in the first scene, informing him in no uncertain terms that he is never ever ever going to get any kind of gun or anything that vaguely resembles a gun, and that this is a matter of life and death, and it’s time he realizes what can happen to a black boy in America who so much as wears a hoodie. After this sobering scene, various hijinks ensue in which Dad wins a “major award” and the dog eats the turkey meant for Christmas dinner. However, Ralphie, heeding his mother’s words, keeps his head down at school, avoids the playground bully, and refuses to wear his winter hat or put his hands in his pockets lest it make white people feel nervous. He writes an essay for English class entitled “Where is the American Dream for Me?” and his teacher, who understands these things all too well, gives him a well-deserved A. On Christmas morning, his parents give him an iPhone. The Grinch, having for decades exploited the mostly undocumented Whos working in the agricultural industry on which the Whoville economy is based, decides to go one step further and revoke their right to celebrate Christmas freely. So he not only slithers around stealing their ribbons and tinsel and roast beast, but he also uses his powerful lobby groups and media outlets to block legislation that would bring about even mild reforms. However, when his dog Max mutely reminds him that citizens pay income tax and most business owners are in favor of reform, the Grinch’s heart grows three sizes and he flings back all the Christmas woozles and whatsits, promising to support the Dream Act and help Cindy Lou Who get a college scholarship. In this interactive, make-your-own-adventure version available through Netflix (in conjunction with their partners), viewers experience their very own Ghosts of Christmas. The Ghost of Christmas Past recites a narrative constructed by complex logarithms based on each viewer’s Facebook year-in-review, their Amazon purchase records, and their Google search history. The Ghost of Christmas Present reveals the viewer’s current bank records. By the time the Ghost of Christmas Yet to Come is running scenarios on credit card payoffs, viewers are feeling plenty guilty about their spending habits, which is when the various charity organizations make their two-minute YouTube pitches. Viewers may then donate to the charities of their choice—just use your remote and click here—and Amazon will send them a handsome “God Bless Us Every One” lapel ribbon. Charlie, depressed by the commercialization of the season, heeds Lucy’s advice and agrees to direct the school Christmas pageant. Linus informs him, however, that this is a public school for crying out loud, and so they need to create an interfaith holiday celebration. The Peanuts gang sets off to collect a Menorah, a manger scene, and a Christmas tree. When they return, Violet points out that they’ve only covered Judaism, Christianity, and paganism (you know, the tree). Franklin then offers to bring a Kinara to represent his family’s Kwanzaa celebration, and Snoopy dresses up as a dragon to represent Chinese New Year. Peppermint Patty appears in a hijab and explains her conversion, and before long, Buddhism, Hinduism, and Baha’i are also represented by other kids. They gather all the different symbolic items on top of Schroeder’s piano, and mutually affirm the diverse ways humans understand foundational meaning. Then, rather than doing a jazzy dance together—which is not appropriate for some groups—the gang simply engages in respectful dialogue.